After a quiet start to the season, things are suddenly getting very hectic for the Stockton Heat. At the Christmas break, the Flames American Hockey League affiliate had played only 22 games. That was the fewest of all 30 teams. But they've already played twice since Christmas as part of a whirlwind stretch of eight games in 14 days. During the short break the team did have, I had the opportunity to catch up with Stockton head coach Ryan Huska and get his assessment on how a few of Calgary's top prospects are faring. 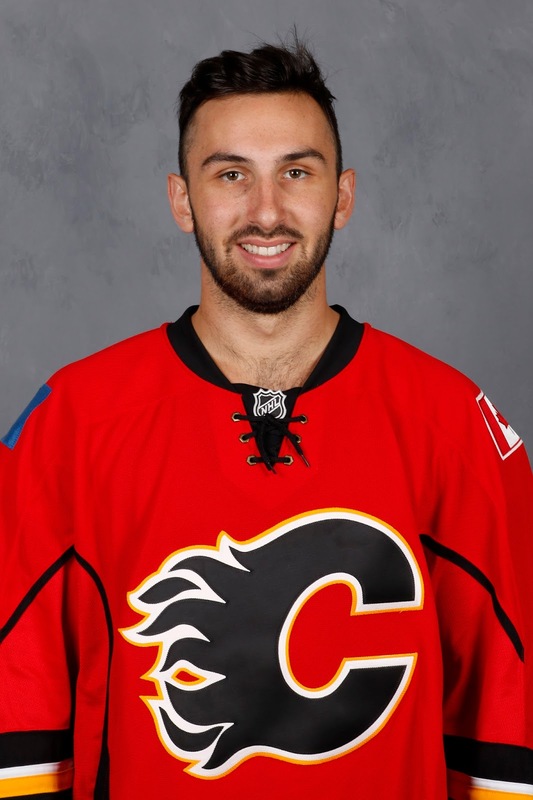 For these players I saw a lot of during development camp in July, at the Penticton rookie tournament in September, then at Flames main training camp, it was an opportunity to hear how the season has gone for them since they headed south to California. Defence - Published Saturday. You can read it here. As is always the case for AHL teams, the Stockton Heat have deployed numerous forwards this year. However, there is a core group that has been in California pretty much all season and that group is listed below. 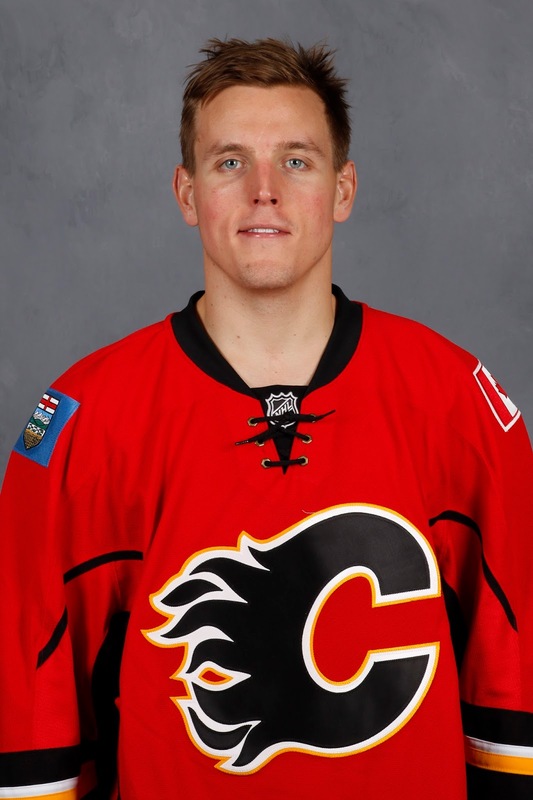 C Markus Granlund - Was recalled by the Flames in late November after a good start and is playing like he is in the NHL to stay. RW Colton Orr - The 33-year-old veteran of 477 NHL games was signed for his leadership and experience, but he has only gotten into four games and none since mid-November. C Mitchell Heard - A second round pick (41st overall) of the Colorado Avalanche in 2012, he's been with Adirondack in the ECHL all season until being recalled after Christmas. After four seasons in the WHL, Morgan Klimchuk made the jump to pro hockey this season although it took a while for him to hit the scoresheet. In his fourth game, he suffered a shoulder injury that sidelined him for a month. When he returned in late November, it was another four weeks or so before he finally broke through with a goal and an assist on Dec. 20. "If you're looking at his stats, you'd probably say it hasn't been a great start for him but Morgan's a detailed guy and structurally, he's very good," Huska said. 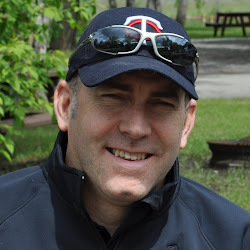 "He understands the game very well and yes, he's been a little frustrated because he hasn't produced points but you look at a kid coming out of minor hockey that scores a ton of points and he gets to major junior and all of a sudden, things don't come easily anymore and maybe they have to change their game a little bit. Well, the same holds true for a lot of guys when they go from junior to professional hockey. "Morgan's trying to find his way a little bit and if that means he has to change his style a touch, then that's something he's going to have to do." 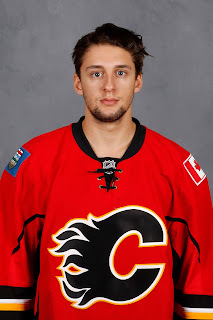 As he settles in and lately has started to see time on both the power play and the penalty kill after being used mostly at five-on-five the first two months, Huska says he's seeing more assertiveness from Klimchuk, the third of the Flames three first round picks in 2013. "We're now seeing a guy that has more confidence to hold onto the puck. Early in the season, he didn't want to make a mistake so he was very careful with how he was playing. Now, he's around the puck a lot more, he's creating a lot more and the last few games I've seen him play have been more the Morgan that we're expecting," continued Huska. "So it's taken him a little bit longer to get up to speed but I think we're starting to see it now." Klimchuk's most frequent linemate from the start of the season has been Austin Carroll but in the first game after Christmas, he was bumped up in the line-up to play with Derek Grant and Emile Poirier. As he finds his way, one would expect to see him take on a more important role but patience will be a virtue for the 20-year-old, who has a long way to go. One of the disappointments this September at Flames training camp was the performance of Emile Poirier. 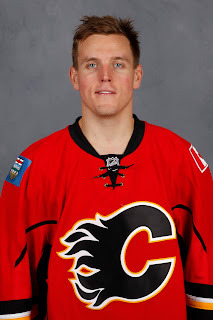 Drafted 22nd overall in the 2013 NHL Draft, Poirier was coming off a great first pro season. Injured to begin last year, he arrived in November with a bang scoring 19 goals and collecting 42 points in 55 AHL games. 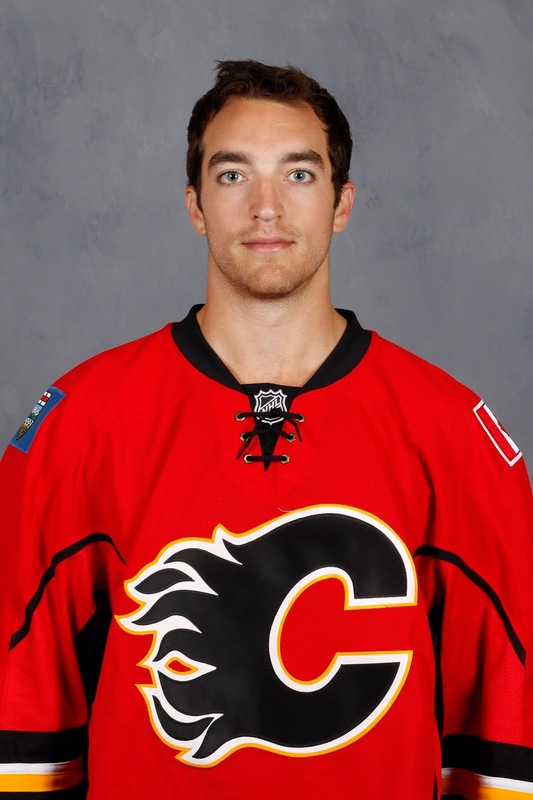 He also got called up by Calgary and got into six NHL games. However, the highly thought-of right winger did not have the same spark nor have the impact many expected. "He got off to a slower start in camp and then you're spending all that time trying to catch up and get yourself to the level you want to be at," said Huska. "But we're starting to see it more now from Emile. Over the last little bit, he's starting to put up some points and he's feeling better about things so he's starting to be more noticeable each and every night by using his speed and challenging defencemen wide and that's a real positive for him and us." Poirier had two assists opening night then mustered just one assist in his next nine games. With his game rounding into form, he then suffered a minor injury that sidelined him for three games but he picked up where he left off with two goals in his first game back on Dec. 10 and two games later piled up nine shots on goal in a game against Bakersfield. "For Emile, when he's playing his best, he's involved in the game. He's physical, he plays with some grit and because of that, things happen and he's around the puck. Then he can use his speed and use the shot that he has," Huska said. "What he has to learn how to do is make sure that he's consistent with it because there are some nights where he's too quiet on the ice." 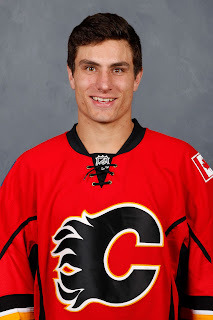 I've always thought the player Poirier should pattern himself off is Boston's Brad Marchand, also a QMJHL grad. Huska agreed with that comparable. "With Marchand, he's rarely quiet and one way or another, he gets himself involved in the game and then he gets himself going as well. That's what we look for out of Emile. He's got to be a guy that does play with some edge to his game because he's a much better player when he plays like that." The stat that jumps out at you with Bill Arnold, considered one of the best two-way players in college hockey when he graduated from Boston College, is his minus-8 rating. What stands out about how it got there is it's all come in the last three games. Up until the second last game before Christmas, he was an even player. For the mature second year pro, it may just be one of those blips that can happen over the course of a season. "We use Bill in a lot of different situations. For us, as coaches, he's a reliable, trusting guy," said Huska. "But he needs to continue to develop his all-round game. In order to get himself to the NHL, finding a little bit more grit in his game will be important for him in the role that he's going to have to fill." Where opportunity lies for Arnold is as a guy that can win face-offs and kill penalties. The Flames are 28th in the NHL at the dot and last on the PK. Those are both areas in which Arnold is relied upon heavily in the AHL. "Part of his rating is how he does at faceoffs so it's an important part of his game, like it is for all of our centremen. Bill is in our top two-pairing penalty kill group all the time," Huska said. "He has to do a good job in those areas in order for him to have success and that's our push with him. Those types of players are gritty, gritty guys and we need Bill to find a little more of that in order to get himself over the hump." 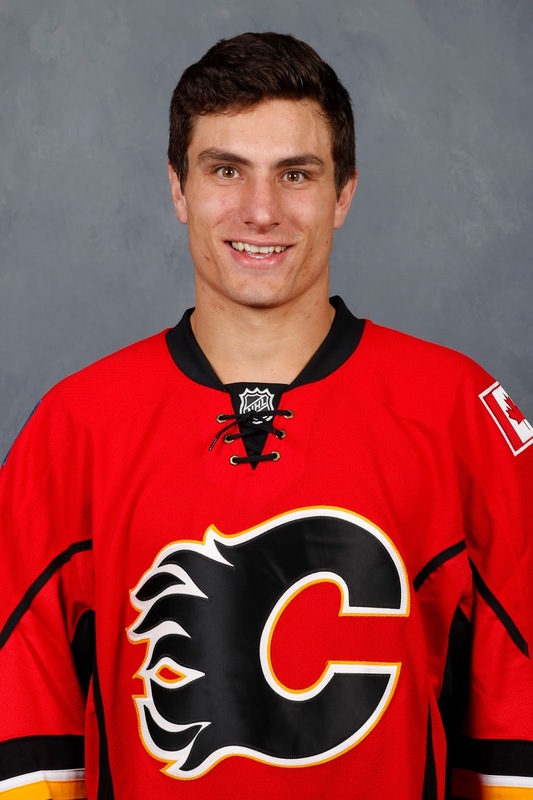 Garnet Hathaway, who went undrafted, was a pleasant surprise a year ago. After settling for an AHL-only deal, he put up 19 goals in his first pro season after graduating from Brown University. Listed at 6-foot-2 and 210 pounds, the rugged and very interesting right winger from Kennebunkport, Maine, can play physical but also has some decent hands. 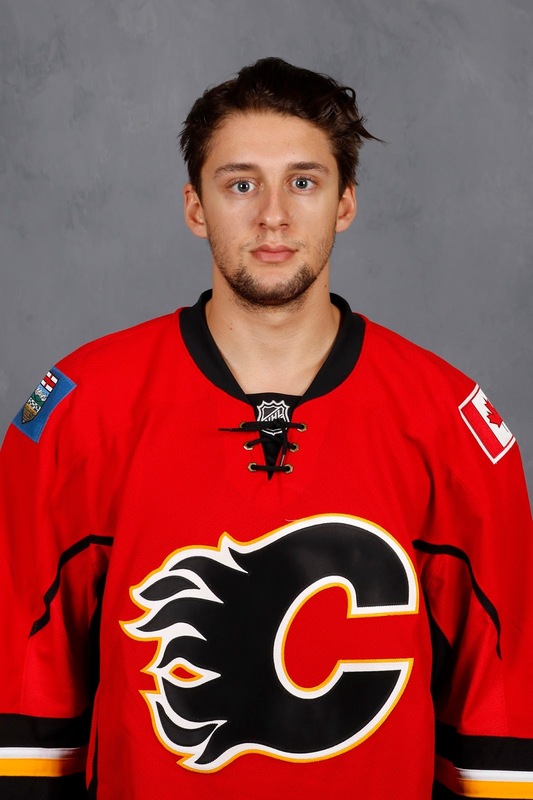 After a nice training camp with the Flames, the 24-year-old was one of the final cuts. "He's awesome. He's everything a coach would like to have in the line-up. He works his very best every day, he puts his body on the line every day and he can be a guy that can be used in a lot of different ways whether that's playing a top-six role or a bottom-six role," said Huska. "We're big fans of him and we're believers that he'll eventually find himself in the NHL." Out week-to-week with an upper body injury that has sidelined him the last five games, Hathaway had seen a lot of time on the right side of the Heat's No. 1 line up until he got hurt. He's been a nice complementary piece to some of the more natural skill on that top unit. "We trust him, I think that's the real big thing for us. He's got that trust and we know what we're getting from him all the time," Huska said. In his last six games before the injury, Hathaway had put up two goals and four assists. Huska acknowledged they're anxious to get the big man back as his absence has left a void. After completing his full four years at Yale, Agostino -- part of the Jarome Iginla trade -- turned pro last season and led Adirondack in scoring with 43 points. His rookie campaign was a tale of two seasons with a quiet first half offensively (12 points in 38 games) and then he exploded in the second half with 31 points over his final 29 games. Consistency remains the buzzword when assessing the 23-year-old, who is a fixture in the top six for Huska. "It's not just your first month or two, in order to be an elite player and get yourself to the next level, you've got to find consistency when you come to the rink," said Huska. "You need to make sure that every day: 1. You're the hardest working guy and 2. You're making your game better." Agostino's had some hot stretches this year but he's also had some extended cold stretches. The latter is what he needs to avoid or at least limit. "With Kenny, they're stretches where he's not quite the player that we expect him to be and then there are stretches where he's making plays and he gets six or seven chances a night. Our big challenge with him is to make sure he's more consistent with how he plays the game because I do believe when he's sharp and when he's on, he's one of the, if not the most skilled guys we have down here." 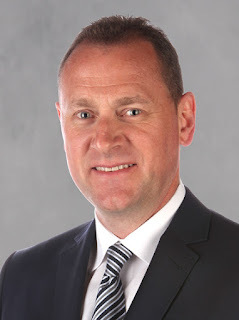 With more time with the coach, I could have run over the entire roster and gotten into guys like Freddie Hamilton, Dougie's older brother, who is second on the team in scoring (7-8-15 in 24 games) and the guy atop that list -- Derek Grant (11-5-16 in 16 games) -- although we got a good sense of what the 25-year-old brings when he was up with Calgary earlier in the season. First year pros like Hunter Smith and Austin Carroll and how they're developing is also of interest but that will have to wait for another day. 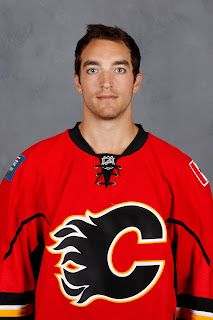 The Flames have no space for a call-up right now. With 14 healthy forwards and Michael Frolik on injured reserve, the only direction a player may be heading is from the NHL to the AHL if there are no injuries up front between now and when Frolik is ready to be activated. Nonetheless, for the guys that are trying to find their way to Calgary, it's on them to pick it up or keep it going in the second half in order to get their names to the top of the call-up list for when injuries do strike (or trades happen) and there is a sudden need for a body.